Have you forgotten something? Sadly you could be one of the 300,000 drivers who forgot to pay their Dartford Crossing charge in one month alone – racking up potential bills of around £21m? Make sure you swerve the fine with APH.com here. The new payment system for the crossing has removed toll booths and relies on motorists remembering to pay the toll through a variety of mechanisms by midnight the following day – or face fines of up to £108 for each direction. Find out what you can do to beat the Dartford fines right here. If you’re driving to one the South East’s major airports – such as Gatwick, Luton, or Stansted – there’s a good chance you’ll need to use the Dartford Crossing – and its new charging system. Arriving at the crossing, you’ll probably expect to be met by barriers where you can pay a toll and be on your way. This is no longer the case. On-the-spot payments have been abolished and replaced by a new scheme called Dart Charge. The new system puts the onus on drivers to logon, or call a payment line, to settle their bill by midnight the following day or face a fine of up to £108.00 for each crossing. Figures show 300,000 drivers failed to do this in one month alone. Motorists using the Dartford Crossing since the system changed have complained about poor signage and a lack of information on how to pay. Many drivers have also complained the system is heavily biased towards those with online access. Payment and dissemination of information does appear to favour those with internet access, but there are easy ways for non-connected drivers to pay up and beat the fines. Here are the main Dartford Crossing payment methods. Comment: Topping up my account with £10, [and travelling] three times over and back leaves me 2p short on the sixth crossing [with a total grand total of £10.02 required] – a great way to collect fines it seems. It should cost £1.66 per crossing, not £1.67! Luckily I have spotted this, but how many wont? As you can see from the comment above, three round trips will cost Dart Charge account holders a total of £10.02. Most occasional users will simply add £10.00 at a time – leaving them open to receiving a fine for their final crossing. The charge is calculated to the nearest penny based on a one third discount on the standard charge of £2.50 – there is no other reason than that. The discount means that for many people the crossing is now cheaper, as well as being faster, than it was before the introduction of the new system. Pay in advance for a one-off crossing: If you only use the crossing occasionally, for trips to the airport etc, then paying a minimum of £10.00 into an account is not a good use of your money. This option lets you pay for pay for individual crossings up to 12 months in advance. Simply book your parking with APH, then book your crossings at the same time (don’t forget to book pay for your return trip, too). Leaving this until you get to the airport could result in it getting forgotten as you battle your way through a busy terminal and queue-clogged check-in procedure. Please take a few seconds to take this poll and tell us how you’d improve the new charging system.. The Automatic Number Plate Recognition system that triggers a charge against your car has been found wanting when it comes to reading certain letters – such as C and G – causing incorrect fines to be issued. With a freedom of information request confirming more than 80% of appeals were accepted by Highways England in the first six months of the new system, it’s clear problems go far beyond mis-reading number plates. Here’s how to appeal if you’ve feel you’ve been issued an incorrect or unfair penalty charge. How to appeal: Challenge the penalty by contacting the issuing authority within 28 days of the notice being served. Quote your charge notice number and explain why you believe the penalty is wrong. Appeal to the independent adjudicator: If your appeal is one of the few that are rejected, you can take it to an independent adjudicator. Information on how to do this will be included in the original rejection. You must appeal to the adjudicator within 28 days of the Notice of Rejection is received. Delivery is usually deemed to be 2 working days after the date on the notice. Get an extra 14 days to pay: Nearly 3.5million motorists have failed to pay the Dartford Crossing toll since the new system was introduced, however, first-time ‘offenders’ will be given a 14-day grace period when the charge notice is sent out. This allows them to pay the original charge rather than the full fine. The additional 14-day period will help most drivers escape fines of up to £216 for a return trip, but please remember, this applies only to the first charge issued to any single vehicle. Drivers are being charged up to 60% more to use the Dartford Crossing by unofficial websites taking advantage of confusion surrounding the new payment system since toll booths were axed in 2014. There is no suggestion this website is operating illegally, but it certainly doesn’t clearly state on the homepage that it is nothing to do with the official site – or that you’ll be charged an extra 60% for something you can easily do yourself. In addition to the cost hike, sites like Dartfordcrossingcharges site have no way of effectively checking your details – it even fails to ask what vehicle you are paying for, making it impossible to highlight mistakes when entering the registration mark. The official Dart Charge site will confirm the make and registration before allowing motorists to pay. Unofficial sites will simply take your money, pocket the admin charge and pay the outstanding toll on the public Dart Charge site – regardless of vehicle details. It’s also clear the site is targeting millions of foreign drivers who use the crossing each year, with the website offering versions of the payment system in 18 languages. If paying online, make sure you save cash and get an official receipt by heading here – otherwise you could be left with no proof of payment or means of appeal if something goes wrong. Comment: The new remote payment system and poor signage has resulted in almost 3.5million fines being issued since the Crossing’s toll booths were axed in 2014. This is not due to more motorists attempting to avoid payment, but an abject failure of the system to ensure occasional users and foreign visitors know how to pay. Signage on the M25 urges drivers to ‘search online’ without giving a website URL. It’s this confusion that is costing motorists cash and helping unofficial websites profit from desperate motorists attempting to beat the payment deadline – without the correct information readily available. We will continue to press for a change to the information and signage informing motorists how to pay. Set a reminder by location on your phone: Have you got an iPhone? There’s a great feature that will let you specify a location for a reminder to be triggered. So, if you’re booking a holiday and will need to use the Dartford Crossing as you head to our Gatwick park and ride car park, for example, set the reminder to go off as you arrive at our facility. This will give you plenty of time to pay before you fly. You can then do the same for your home address to cover the homeward trip. My other half and I used the tunnel last year October time as we moved address and was on our way to IKEA. We forgot to pay and a letter was sent, fine. When my other half spoke to the Dartford tunnel team they assured him that next time it would automatically be taken out of his bank account. So the following week we again went to IKEA, I told my other half that we needed to remember to pay the £2.50 but he reminded me that it was automatically taken so we no longer needed to worry. Today my other half recieved a bailiff’s notice at our previous address wanting to remove goods as apparently we now owe in excess of £400. I find the whole thing outrageous and cannot wait to speak to Dartford tunnel to let me know that if they want to take this further we will as they should have recordings of the phone call stating the auto pay. I refuse to pay a penny!! There is some kind of fraud going on this Dartford crossing. I think lawyers should step in and file a case against them. For me, they sent all the correspondence to my previous address even though I had my driving license and vehicle document updated during the time I crossed the tunnel. This shows there is something fishy going on inside the department or the management of Dartford crossing charge. Since this is a huge money, I think some good solicitors can do something. We all should back up if anyone files a case against them. This would be the worst way to earn money. Shame on you Dartford crossing and management team. In the last year, I have paid over £600 for the cost of a £5.00 return journey in my car which I thought I had initially paid via mobile. And now they want a further £200 more, I had two big guys turn up at my door at 6am wanting to remove goods. I have never had a speeding fine or parking ticket in my life but this is just ridiculous. I very reluctantly paid the £600 fines which meant we literally didn’t eat for a few days and since then I go out of my way to drive around the toll via the Blackwall tunnel. However on my Birthday, I came back via the toll as I had no choice and made a mental note to pay it when I got home (how can you pay it when you’re driving) but I have kids and a terrible memory, it takes me hours to get home and it is always stressful and it just slipped my mind. A couple of days later I suddenly remembered, I went straight online and paid the toll charge. Two months later, they want £105 each way with a court demand with no warning (even though they still took the toll charge when I paid online), I am trying to fight it as I contested it but I feel helpless. However I used the toll a few days ago on a return journey and yet again, same scenario, kids, stress, traffic and I completely forgot. I am so angry at myself, I want to pay it online, but it will make no difference now. This whole online paying system just feels so criminal and just aimed at catching people out. They must be making a fortune from forgetful people like myself or the elderly. Not to mention, the traffic that still exists at the toll northbound, they make you wait and then they make you pay for it. ARGHHH IT IS SO INFURIATING. I don’t hate much in life, but the Dartford toll system is something I really hate. I tell everyone I know to avoid it. Did you get anywhere with this as i am in the exact same situation. I just crossed and forgot to pay for a few days.Paid online and then contacted them via twitter. Received a response within minutes saying they would reconcile the late payment towards the crossing and cancel the PCN. Maybe I’ve just been lucky but worth trying! I feel that this an unfair, and as long the british continue to pay and not raise a petition against this by writing to the Secretary of state, they will continue to enforce an unreasonable application. This is not fair! At least a week notice is a fair deal. How can the burial of a mother and a £2.50 fee be weighted. Britain wake up to reality! this is an unfair practice. If you treat people like this and do you expect them to treat others!! If it is “2.50, then let it be £2.50, how can an overnight or next day midnight turn to several hundreds of pounds, what happened to the road overnight. Even the call handlers must have dealt with very angry people that they too have lost their ability to be nice on the phone. They have prepared scripts to cut you down when they are speaking to you. UK has often been known for its lack of customer service for the government to promote it through such a scheme is unbelievable. British citizens are shocked, the foreigners visiting are dismayed by our practice. Come on England, surely they are other decent ways of collecting money, not an overnight or midnight practice!!! I just got a fine for £105 for an offence 2 months a go. I have received NO communication until this, and the letter states I didn’t pay the first charge on the first letter they sent to me – a letter I didn’t receive. What are my rights? Do DART have to contact me within a specific time period of the offence? I have just received a fine notice almost three months since using the crossing. I did forget to pay on time but went in and paid when I remembered. Can they leave it so long to issue the fine? This is my first offence and i paid eventually. This system has to be one of the worst conceived forms of moronism in whole government. Anyone know who is in charge of this? I say Whoa! what happened to the £2.50? ..DC- You have to wait for the penalty notice to see if you are offered the £2.50. then pay it. ..Me.. When will that arrive? DC- It should arrive within 2 weeks. Me.. but Im going on holiday and that will take me over the 14 days… can’t I just pay now? -yes £37.50 please. Re-roll whole conversation and stale mate. Rely on GPO getting your letter to you within 14 days and hope for £2.50 or pay £37.50 to make sure it isn’t going to rack up astronomically ! Used the crossing on Saturday, and could not pay within the usual time limit of midnight on the day after because i was travelling. Paid on my return (Monday), The payment was accepted by Dart Charge. I later received a penalty letter. I called them and appealed but appeal was rejected and they said my payment will be held it on account of future crossings. I then went to independent tribunal where I won. Motorists who use the crossing have a legal obligation to pay the road user charge, and Dart Charge likewise have a duty to accept it. Where Dart Charge accepted payment, and the result was an unpaid crossing for which it was intended, they are not entitled to hold that on account of a future crossing. This is for two reasons. First of all the future crossing may never occur, and secondly they may only do so where there is an Advance Payment Agreement in place (see Regulation 6 of the A282 Trunk Road (Dartford-Thurrock Crossing Charging Scheme) Order 2013). I am not aware there is any such Advance Payment Agreement in place between Dart Charge and …… in the form of a properly opened account. As I have said, there is a very strong presumption that ,,,,,,,, intended the payment to be for his recent crossing, because he surely cannot have intended to receive a penalty by making the payment against a future crossing instead. I therefore deem the payment to have been accepted by Dart Charge in relation to the unpaid crossing which is the subject of this PCN. Can Dart Charge issue a penalty charge notice despite having been deemed to have accepted the slightly late payment of the road user charge? Theoretically, yes, although the penalty charge notice would have to be for the penalty amount of £70, and could not include the crossing fee. The amount they have demanded in this case therefore exceeds what they are entitled to demand. There is a further difficulty. The purpose of the penalty scheme is to encourage compliance with the payment system. Where a motorist has paid slightly late, but, importantly, before Dart Charge have even issued a penalty, they can be no good reason for enforcing penalty. The window for payment contained in the Regulations is very short, and motorists can often have perfectly understandable reasons for paying late – often, as in this case, by using the crossing in order to embark on a longer journey, during which payment may be understandably difficult. The power to issue a penalty charge notice is a discretionary one – the regulations state that the authority ‘may issue a penalty charge notice’ (my emphasis). In order for such a decision not be procedurally improper, there must be evidence that it has been taken in a discretionary way, not simply as the result of an effectively automated process. Where someone has paid a day or two late, and before Dart Charge have even begun to take action on the unpaid crossing by issuing a penalty charge notice, they can be few, if any, reasonable grounds for issuing a PCN, given that the purpose of the penalty system is to encourage compliance with the payment system. I do recognise that ……… has a recent history of making another slightly late payment, but there is no evidence that Dart Charge took that into account when actually issuing this PCN. Furthermore it still does not counter the basic fact that he paid only slightly late, and before Dart Charge even realised that there had been an unpaid crossing, and therefore there is no reasonable justification for the PCN being issued. I therefore find that the decision to issue PCN was not a properly exercised discretionary power as allowed for by the Regulations, and therefore procedural impropriety has occurred. I believe this dartford toll system is just a huge government sanctioned extortion scam. As a foreigner who occasionally visits the UK i wasn’t even aware of the new toll system until i was coincidentally tipped off right before my next visit. So i registered for an account at the website and deposited some money via creditcard(no other payment methods, how convenient), so far so good. For one of my next visits i tried to top-off my account but got an “expired creditcard” error, even though i had to fill out all my recent creditcard data during the payment process. Contacting support they explained to me to first select automatic payment and do a zero payment with my new creditcard data. Then switch back to manual top-off and again fill out all my new creditcard data to deposit the money. Just fix the bug in your application to update and use the new creditcard data during the manual top-off payment alright! How can you expect less tech-savvy foreigners or with a poor grasp of the english language to understand any of this? My husband forgot to pay the charge until 2 hrs after the midnight deadline – it’s his first time. I am the registered keeper and had been given a PCN before and as a first time, I was allowed to pay just the fee for crossing. I paid the £5 anyway and when the PCN arrives will try to appeal it citing that I paid, albeit just after the deadline. Do you know where the leglislation says that they can enforce the deadline of midnight the next day? Surely as a statutory body they have a duty to act fairly and it seems grossly unfair to have such a tight deadline. Will I win an appeal on such grounds. please advice. did you get any advise? Just came back from a weekend in Hythe. The DART signs are NOT clear, why not put up simple signage explaining the toll is NOT free, and payment required. YOU REALLY NEED CLEAR SIGNAGE 10 MILES OUT ON BOTH SIDES – The only reason we noticed coming back was there were no tolls to pay !! really poor direction to the general public on what to do. I am a British Citizen but resident now in Canada. In August my wife who is a Chinese Citizen also resident in China and for whom Mandarin is her first language was caught up in the motorway closures when the M20 was closed when a lorry got stuck under the bridge. She inadvertently crossed and recrossed the dart crossing by accident. She did not understand the toll charge system. I have seen photographs of the sign which seems quite confusing. We subsequently received two penalty charges. This is the first and only time the vehicle has crossed. We were not offered the 14 day grace period neither was any allowance made for the poor signage and her language difficulties. We paid both fines and we have receipts. We are still being pursued by dart Charge for ever increasing amounts. The appeal system does not allow for attachments so we cannot attach the receipts. we have phoned twice and received apologies with the blame being put on their computer system, but we just got a third increased charge notice. I am going to call again Monday but I would urge everyone damaged by the system to use some kind of passive resistance. My company has been insured at Lloyd’s for over 10 years at approx $2MM premium a year, we have never had a loss. Lloyd’s would pay the UK Govt taxes on their profit for this sum so I decided this year to none renew my business with the UK. I know the UK Govt doesn’t care but at least I feel I had a way to strike back! Okay so I’m receiving penalties for a man who doesnt live at my house! We rent so he may’ve lived here in the past but hant for the last two years… what do I do!? I keep returning to sender yet they still come….? The whole system has been designed and set up to catch out motorists. I have used the crossing several times and remembered to pay later that day but forgot one time and remembered 3 days later. I called their ‘help’ centre and was informed that I couldn’t make the payment and will get a penalty for £70.00, no if’s or but’s, just tough luck. This was on 22nd May2016 and I received a penalty on 14th Oct 2016, nearly 5 months later! However, there was another letter with the penalty notice that stated if I pay within the next 2 weeks i can just pay the original £2.50 crossing fee that I offered to do 3 days after the ‘offence’. What the hell are they playing at. Could it be that rather than just send the warning letter asking for £2.50 they also send the penalty notice hoping I’ll pay the by mistake? Why they just wouldn’t accept my attempt to pay a few days later is beyond me if they are willing to spend time and money asking for the same fee 5 months later. Very dodgy the way this business is run, pure money making outfit trying to scam honest people. Hi I’m hoping you can help. I’ve just received 2 letters from JBW claiming that I owe a total of just under £400 for crossing the Dartford crossing on the 28/6/2015. This is 16 months after I crossed the bridge. No correspondence has ever been received prior to this ‘notice of enforcement’ (honestly not sure if I paid or not, though think I did). I paid the £5 but entered the number plate incorrectly (KN06 when it should have been KM06) so they are trying to fine me. Do you think I would win an appeal? After all they have actually had the £5 for my crossing, even if my fat fingers caused me to mistype the number plate. They have asked I pay another £5 or they will charge me the fine of £70 if I delay (aka appeal). What should I do? I’m too poor to take a political stand, I just what your opinion of if you think I should pay the extra £5? Seems like robbery to me. My son used the Dartford Tunnel a few weeks ago. He called me to ask me to pay, I put his registration in and it was confirmed the make, model and colour of his vehicle. I paid for a return journey. A few weeks later we received a letter from the Dartford Tunnel telling me that the return journey had not been paid and enclosing a fine. I telephoned the Dartford Tunnel to be told I had not paid enough for a return journey and that I still had to pay for the return trip. I informed them that their computer system had told me what to pay (5.00 return) and that I had paid it. The lady told me that because my son’s vehicle “had a bit on the back” (usually called a pickup) that he should have paid more!!!!!!! It was their computer system that told me what to pay after entering his registration number!!!! When I asked “why would I pay £5.00 for a return trip instead of just £3.00 for a single trip” the operator told me that she thought I had just paid them extra!!!!!! I am not in the habit of paying the Government a bonus!!!!!! I now had to wait 56 days to receive their response. It’s not the extra £3 that they asked for, it’s the principle of the fact that it was their computer system that told me what to pay. Hi- Thanks for sending your story. Let’s hope the prospect of an inquiry announced today – after people power forced it – might look at such issues as well. Too many people like you are being hounded for doing no more than the ‘right’ thing. Thanks first of all for your very helpful website! ‘The first penalty charge notice issued for any vehicle for non-payment of the charge will offer the driver an extra 14 days to pay – and pay for any crossings they have made since. And that is, I have received the Notice sometime after 17th of Sept., while absent from my address for 9 days. The letter said, it was issued on 5th of Sept. They calculate 5 days for delivery at the most ( receipt by the 10th, which is out of the question ), which made the reduced penalty payable by the 24th – too late when I got back home on the 29th. Hi – Thanks for your post. If the penalty was your ‘first offence’ you should still be offered the opportunity to pay the original £2.50 (if in a car) charge. I have not heard this policy is changing. I will look into it to confirm the situation. They dont tell you in the letter you can pay £2.50 you need to know this. It is not setup and an honest way, more like a cowboy clampers style. It is owned by a French company so everyone beware or simply drive round the other-side of the M25 where possible. Is this still in practise, I’d happily pay the fee but not the fine as I tried to PST and couldn’t get through. Apparently it is, but you need to wait for the charge notice to be sent. I have this today and went to go work and my car has been clamped and I have spent all day sorting it and got wait see what the court says.the debt company won’t respond and the dart people told me I have wait.even thou I paid next day and proved bank street ate me too!! Wot the hell,they also put a bill of £475 on car. My wife forgot to pay the charge until a day after the midnight deadline – it’s her second time. It’s easy to forget if you only use the crossing once in a while and it is very unfair to refuse to take payment before the fine has been issued. I rang to pay first the first thing the following morning but they refused to apply the payment against those crossings and said we would receive a fine. I paid the £5 anyway and when the PCN arrives will try to appeal it citing that I paid, albeit just after the deadline. Do you know where the leglislation says that they can enforce the deadline of midnight the next day? Surely as a statutory body they have a duty to act fairly and it seems grossly unfair to have such a tight deadline and to refuse to accept payment before the fine has been issued. I am from Germany. I have just returned from travelling in the UK in my car. I have used the Dartford crossing 3 times, last on 24th of August. The last time I crossed, I noticed the big “C” on the road, which I had seen in London. This led me to the conclusion, that I needed to pay a charge for using the crossing. After checking with the TfL website, entering “QE II bridge”, the name that is given for the crossing on Google maps, I could find no evidence for a charge. By chance, I have today found the relevant information on the web. It seems, that I will soon receive notification of a large penalty for crossing and not paying on time. Now there is no way for me to avoid the penalty! I do want to pay, but was not aware of the strict timeline and penalties. Just to give you an impression of why I perceive of these regulations and timelines as too strict and unfair, I would like to point out how the road toll is handled in Auckland, New Zealand, where I travelled this spring. The vehicle is electronically registered on the Motorway, and you have to pay within 5 or 6 weeks´ time on the website. If you don´t pay, they send you a Toll Payment Notice, which costs you 5 NZD. All this makes sure, everyone can pay up! Why not give all motorists a fair chance of understanding what to do? Thank you! It’s a money-making scheme. The arbitrary £35 fine is proof of that. There is very little information around the toll area itself and by putting the onus on the road user to pay, rather than them to collect, they ensure that many people will innocently forget to pay the toll or simply not know. Nobody seriously tries to get away without paying the small toll fee and would pay it were they reminded that they’d forgotten on a certain occasion (maybe even a little extra for the inconvenience). The arbitrary (and disproportionate) £35 fine is only there to generate money. I´d rather believe that it is the result of a form of beaurocratic thinking which is removed from the lives and the needs of the people. I hope the agency wakes up to reason and to making the best use of modern technology- to the benefit of all. I completely agree. This is a return to the days of King John. The time given for payment is way too short and the fines are out of all proportion. This is the sort of initiative that makes people feel that authorities are working against them rather than providing them with a service and supporting them. Yes, I fully agree with you Alan. Although one does see reminders after the toll point as well as a notification before that it is by midnight the next day. But midnight the next day is far too tight if one is, for example, going on holiday and has no online access whilst there. I agree with Alan – it’s nothing but a big brother government scam. The ‘C’ logo is one of the tricks designed to catch out foreign and non regular users. The idea being that you pay the Congestion zone charge which you don’t use and then get a fine for the unpaid crossing charge. Win, win for them. This system stinks of corruption and tricks to get your money. Appeal and you will probably just have to pay the original fee. At least waste as much of their time as possible with phone calls and letters, after all they are wasting your time. there was chaos when we went through the tunnel northbound as a vehicle was causing a hazard in one tunnel. we saw the big C and a time underneath but there was not signage saying anything about payment. saw the sign for this ON OUR WAY SOUTH 2 DAYS LATER, thus realised you had to pay something but not how much or method. However I used the crossing on 11 July, paid on 14 July (the first 2 times I tried to pay, the website didn’t want to accept my number plate). But on 20 July they posted me penalty charge notice, with no mention of a 14-day period! Hi – You will need to give them a call. Is it possible that someone else has used the car at the crossing? First and only time we made a return trip we forgot to pay. Remembered 10 days later so went on website and made a one off payment of £5. Receive 2 PCN’s 3 days after paying. I big bold letters the covering letter stated that as a first timer the penalty and all other penalty issued within the last 28 days would be cancelled if we paid for all crossings within the next couple of weeks (a specific date was given). We thought great that’s okay as we have already paid a few days ago. As per their letter the fine is cancelled. Today we received another letter demanding £215 stating that the 2 PCN’s remain unpaid! The £5 we paid is just sitting on an account to be used against future crossings. Why would the do that?!?! Surely common sense would be to apply the payment to the only crossing we have ever made….ie the one they are fining us for not paying. Having now read up on line it seems would shouldn’t have been so honest and hasty in paying. We should have waited until they fined us so we had an IA number then paid using this number. Instead we are now facing a £215 fine when we should have be exempted under the first offence rule. Anyone had the same situation and recommend next course of action? Thanks. Yes I have had the same – I remembered 6 days later (busy time with family etc – sorry I have a life!). No penalty notices have been issued until today we receive the notice demanding £107. Husband phoned them up and the guy basically said tough you will have to appeal it. Instead they have £10 of my money ( I paid for 4 trips in error!) which they can’t use against the payment owed? Outright thievery! Have appealed but not holding out much hope. FML! Had exactly the same problem – phoned and was told it was “not possible to pay after midnight on the day after the crossing”. I pointed out that there is no request for even the date of the crossing to be included when you pay and therefore it is possible to pay. He just said you have not paid so you will be fined. I have appealed and await the response. Exactly what has happened to me, I have appealed attaching all the payment slips/ receipts/ emails. I also paid before getting fined, well you do when you suddenly remember after a holiday!! I see the £2.50 still sat in the account after checking when I got another letter today demanding 105 + another 2.50.. WHY I ask. What computer are they using on the system, A sinclair spectrum …. I’ve added the fact I was distracted because I was on my way to a meeting with Essex social services representing a friend who is applying to adopt. According to the chap on the phone the process of escalation is halted when you make a representation so the most I’ll have to pay is £250 for both crossings even if its rejected but its a hell of a lot of money for a young family! It is a huge amount that you’re being asked to pay for a system that is flawed. I wish you the best of luck and let us know how you get on with this. Let’s see if they are human. I forgot to pay and just was late an hour before I actually made a payment, Really what a scam and stupid way as there are no reminders or anything and they expect you to pay the very same day. this is so bad as no time is given whatsoever, now I will have to pay for the penalty despite already spending £5. pathetic service ! At the bottom of the next page is a button with Make a representation written inside. Click it. Put your PCN number and vehicle reg in on the next page etc. Just keep following through pages. Add a copy of your payment (email if online or scan it/take phone piccie and save first) in the next box and write a quick blurb to say it was paid. Was in a non fault accident, paid 250 excess, other driver has lied and didnt pay a penny as its a company lorry. I then was given a courtesy car. I drove to work 5 times, that made 10 crossings. the hire vehicle company also charging me 35.0 for each incident. So i now face paying a total of £1050 for this oversight. I have an auto top up account on my own vehicle, but didnt know I had to pay for hire vehicles. The hire company said im responsible for all fines, which I took to mean speeding, jumping lights etc. They never said if you use dartford crossing, remember to register this vehicle! That one sentence could have saved me the suffering and stress and shock. Two months after the incidents. Vehicle hire company said we dont know where you work, or what roads you use. Its my responsibility. Now I see how they make easy profit. Sorry to hear that. The signs really need improving. Good luck. That sounds horrific… can you send the full story? I have the same issue. ~£1500. Just been wheel clamped even though I have an active dart tag account in credit ! Yes, unfortunately the hire companies and leasing companies are also using this money making system to scam you. They charge an ‘Admin’ fee! which is also a disproportionate amount of money. The whole world out scam each other and the UK Government back it. What hope do we have. I was also caught by this extortion system. The UK is a lovely place but the governments are supporting the extortionists every which way you look. I’m a UK citizen and I’m looking to leave the country… driven out by my own governments practices. I’m a second-time “offender,” having simply forgotten to pay the charge on two separate occasions. The first time, when I called the Dart Charge number, it was waived as a first “offence.” The second time, I forgot again but woke up in the middle of the next night remembering I hadn’t paid. So I paid the £5 return charge around 4:30am, so four and a half hours late, and hoped for the best. But no, today I received the 2 PCNs. I called Dart Charge and pleaded for leniency but of course was told my only option was to make a representation (2 representations, actually). So I’ve done that online and now I wait and see. I think they have 56 days to make a decision. There should be a clear distinction made between people who have paid the charge before a PCN is issued (ie. people who clearly forgot to pay) and those who don’t. The latter may also have made an honest mistake or may not have understood the system and the appeal system is there to sort them out from the chancers. I’m in a similar position. I paid the Dart Charge online after the midnight dateline but before receiving the penalty notice. Do let us know what the outcome of your representation. I’m about to do mine. Have 4! I’m really shocked by this system. We went through the crossing on holiday last week. There are no signs anywhere to say how much the charge is, and anyone who has never used the crossing before could easily miss the payment signs, which are vague in the extreme. We did manage to pay the following day (with difficulty) on my husband’s phone, but we almost forgot, and I don’t use a mobile, so if I had been on my own I would have been completely stuck and unable to pay. This system is only OK if a reminder letter is sent out to non-payers before imposing fines (which would be too expensive of course, so it will never happen). Otherwise there should be a lane for optional on-the-spot payment, with clear signage, including the amount of the fee! Used crossing on Sat 27th Feb & again Sun 28th Feb. In a lease van. Lease co have forwarded 2 x penalty fines. We tried to pay morning of 28th Feb for both crossings online but must have done it wrong as no payment taken. As fine went to lease co first it is outside the 14 days for first offence….is there anything we can do please? The company that runs the crossing are just a bunch of con-artists. It is set up for you to fail. Why? They are a business and they are making huge amounts of money because we the drivers make the odd, honest mistake. We either forget to pay and they do not send a reminder, or we pay only to find that we should have paid twice, once for one way and once for the other. This is never made clear. It’s a French company so all that money being ripped off honest people who are just trying to get from A-B, happy to pay a charge, is going abroad. Someone is laughing. I have a slightly different issue, I went through the tunnel on the 19th February but knowing I had to pay I set up an account when I arrived in Essex. I didn’t spot the paragraph saying I had to pay for crossings I’d already made, and assumed setting up the account within 24 hours would work. I checked my account the next evening to see I’d been charged for my return journey but not the original one. I called the number to pay but was told I couldn’t pay beyond 24 hours, so I would be receiving a PCN. I’d already been sent a PCB when I forgot to pay the first or second time I went through over Christmas, and paid the £2.50 then, so as my second fine I assume I’m going to be hit with a £35 fee on top of £2.50 charge. Do I stand a chance in hell of succeeding if I appeal, or will they just say no and add another £35 onto the fine since it will take me over the two-week period when the fine is £35 instead of £70? I frankly can’t be bothered with using the crossing again even if I do succeed in appealing, it’s about the same length of journey round the M25 if I go north or south, and I can’t for one second believe the toll booths were removed to alleviate congestion considering everyone still has to pay the £2.50 charge, plus a huge number of people – a lot being occasional users – must be getting fined for getting it wrong. Hello to you all from a desperate Italian vacationer. as sorry, I’m not in condition to write well in English myself. about my passing through there on 25 Sept 2015. I passed over, thinking of that. If I had known that I had to pay, I would have definitely paid! so AFTER 21 DAY from the date written on the notification 19 Dec 2015 !!! the mail services goes slowly, and they were in late with the deliveries. but it really was not my fault that I received the notification so in late. I also received their email payment confirm receipt for the Eur 3.61.
and I was tranquil about. as I received too in late their notification!!! It is not right that I have to pay more because of mail delay. but their response will be within 40 and 50 days so I really don’t know what to do now. if I will not pay within the 27th February? Or what I have to do more? Please, I need your help. I look forward to your reply as soon as possible. Thanks and regards from the disperate Italian vacationer (family included). i dont even know i have crossed the Dartford crossing on 16/01/2016 ,but i don’t know any thing about the crossing charges. now i received the penalty Charges notice of 35£. can any one help me how to wave this charges. i can pay mim charges. Has the charge notice included the offer to pay £2.50 within 14 days? It should have done for a first offence. We’ve had a similar notice for a first offence. And the only offer they’ve given us is to pay £35 if we pay within 14 days. It’s scandalous. The signs were very unclear – they say “Dart Charge: find us online, pay by midnight tomorrow.” There’s no info saying *who* actually has to pay these charges, nor indeed how much they are. There was an odd-looking letter C on another sign, so we assumed it was something to do with the congestion charge. As somebody else has commented, the whole system seems designed to trick you into having to pay an extortionate charge. I simply cannot believe this is allowed to continue, it’s a scandal. I’ve just missed my midnight deadline by a few hours and as such, I am now forced into a locked system whereby I simply have to wait for my PCN to come through. Its my first time. Why won’t they let honest people pay and make it right? Not giving you the option to pay the normal fare when its your first time? Scandal. I live in Ireland and hired a car from airport to travel to Kent. I had no idea of the changes regarding Dartford crossing and subsequently forgot to pay for journey down on 6/2/16 and back on 8/2/16. Traffic backed up at least 2 miles on way back as bridge was closed due to high winds, so was worried I would not get to airport in time. I contacted the hire company who said I would need to contact Dartford crossing. I wanted to pay today but it transpires that I will have to wait until Penalty Charge Notice is received by car hire company who will then give dartford my address (at a cost of £42 admin fee). Dartford will then send me PCN. Any advice on what to do would be appreciated, thank you. Hi Lucy, I am sorry to hear about your experience at the Dartford Crossing… you certainly aren’t alone. I would suspect you’ll be charged the £2.50 crossing charge – as it’s your first ‘offence’ when the penalty is sent out, however your hire car company will still charge what is clearly a very high ‘admin’ charge. They must be making a lot of cash from the new booth-free toll system. £42 is a lot for any hire car firm. Try appealing to their better nature – and when that fails – sorry ‘if’ – send the name of the company through and we will add it to our hall of shame… or should that be haul or shame! Let us know and sorry I could not be of more help. I am really frustrated by the fact that I want to pay the crossing charges but am unable to do so either by phone or online as it is after the midnight deadline for both. I do not feel that this is made clear enough at either side of the crossing and hope that Dartford will just charge me the crossing fees. I will let you know how I get on with the car hire company, although they haven’t been to helpful so far! Best of luck Lucy – and make sure you let us know how it works out. We all share your frustration on this one. We are pushing to get better signage on the motorway, too. we are a small hire company in Lancashire. We used to have customer who regularly cost us parking tickets, and they ran up a debt. We charged an admin fee each time. They also damaged the vehicle. We ended up in the small claims arbitration process. We were advised that the admin fees were not recoverable. Don’t know if that helps, and you may not want the stress involved. Clearly looking through the comments and elsewhere on the internet, there are problems with the system. I received a Charge Certificate in the post yesterday (22/01/2016). The issue date on the certificate was 12/01/16 and requested payment of £108 within 14 days of the notice, (£105 for the PCN and £3 crossing fee). Amazingly this certificate related to a contravention on the 3/06/15, had detailed the fact that I hadn’t responded to previous letters etc. I have been hours going back through credit card and bank statements as I was sure I had made payment. Like many I remember crossing the bridge last year and had forgotten to pay when I arrived home, but at some point I do remember paying them something, but just couldn’t find any evidence – I certainly haven’t received any letters which they have suggested. I managed to speak to someone on the phone this morning and surprise! Their records show I had paid and this charge certificate has been sent out by mistake. a) There has to be a problem somewhere with a system that is issuing Charge certificates/invoices) whatever you like to call them) when payment has been made. b) The warning on the letter said that if not paid within 14 days it may be registered with County Court and a Court Order raised against me. This may have been enough to push some people to have just gone ahead and paid without question. Received a PCN for a one way journey we made 5 MONTHS AGO! We forgot to pay immediately, as we had a very long journey the other side of the bridge but did pay when we remembered a week later. Now being told that the £2.50 is being held as a credit. I do not live near the bridge, do not need a credit. If the system is investigated, they will see we have only ever crossed once, and made one payment. Christmas night I’ve crossed dartford and forgot to pay the charge. 4 days after Christmas I remembered and paid the charge trough the net but I wonder if I’ll get a penalty or not. It’s a f** up system riding on the notion that many people will forget or not know about the charge and they make a tonne of money off of them. I think it should be extended to at least two weeks, or since they have the car’s data in their database send a letter or an email reminder to the owner of the car automatically. I see no other reason then a money making scam for using it to make more money in fines. The system is unreasonable to all motorists who does not have an account that automatically takes the money out of their account. Despite my willingness to pay, all my attempts failed and a simple slip of memory has cost me dear. Furthermore to avoid this happening again we have now tried to pay in advance for a further trip (due 17th /18th January). However, having completed the whole of the online form, the process suddenly ended just as before, as I tried to pay the £10 advance payment. When I tried to ring on 030003001200 to pay, no one answers. The message tells me ‘access via the website’. So the cycle begins again. This is the third time this month that we are caught in your ineffective and time consuming communication system. All to no avail. It seems we can’t pay after using the crossing, nor in advance. This appears to be an unhelpful, punitive system not in the public interest, apparently designed to maximize cash generation rather than provide a public service. If you want online payments you should set up a system that works. Hi John did you ever get a PCN ? I made a crossing 2 days ago and only paid for one as when I called the automated answer “lady” said I only has one outstanding payment (silly me). But called to ask asI found out going through the tunnel means I have to pay too (thought you only paid while going through the bridge) but the man I spoke to said I now have to wait to receive a pcn as he can’t take the payment. Don’t know if it is worth paying for it online? Just like many of you I did not pay for crossing. I was driving there first time and until now I’ve had no clue about any payment requirements. I got the penalty but the problem is that is already second letter with £105 fine. What can I do ? And is there any chance to claim that I did not get the first original letter where I was able to pay only for crossing in 14 days ? I have used the crossing several times lately but have forgotten to pay by midnight the following day as this is a super busy time of year for me but I’ve paid as soon as I have realised my mistake – within two days of making each crossing. Using their automated telephone service, I have been told that the money has been taken for the registered crossings I have made. I have recorded the voice stating that the payment has been taken for the outstanding crossings. Reading these comments I am now worried I will receive a load of penalty notices in five months time demanding vast sums of money. Surely, they can’t accept the payment and still issue a fine? Hi, I received today a penalty as I didn’t pay the charge when driving in the Dartford tunnel and 2 weeks later using the Dartford bridge. As a foreigner we were not informed about the charge. Furthermore at the passing times, the traffic was so dense I even didn’t see there was a charge to pay or somewhere mentioning a website. As we have very often in our country the toll booths are open when the traffic is to dense, which we believed was here the case too. I would like to complain as I can’t agree to pay the penalty. I don’t have any problem paying the toll charge itself. How can we complain? And will they accept we will not pay the penalty. Furthermore by reading some information normally people are warned if they pay to late (after 14 days) which I never got. Hello, I’m Italian, I passed under the tunnel Aug. 16, 2015 with my camper and during the transition I was surprised of the lack of toll, (I had been in London in 2013 and we stopped to pay), today December 1, 2015 I get the sanction and I have to pay 35 pounds, wanted to know if everything is correct, if the company is not doing a scam to all the people who do not know that at that point, things have changed. I’ve already paid and I own that I will keep your receipt because I do not trust. I would rather pay double for my mistake (or your mistake) is hard to say who the error, we of the continent how do we know that you have to pay a toll if there are no clear signs or warning lights. Because I’m an honest person, I preferred to pay with that money I would willingly climbed on the London Eye with the whole family and my daughter and I gave up because London is expensive for an Italian, it annoys me very much have you got that money for a tunnel, I know that now is the next time rather than go through the tunnel spend twice as fuel. I ask you to re-evaluate my sanction and could lower the level because if there are 300,000 drivers who do not pay there must be a reason. Buongiorno, sono Italiano, sono passato sotto il tunnel il 16 agosto 2015 con il mio camper e al momento del passaggio mi sono stupito della mancanza dei caselli, (ero stato a Londra nel 2013 e ci si fermava per pagare), oggi 1 dicembre 2015 ricevo la sanzione e sono costretto a pagare 35 sterline, volevo sapere se tutto ciò è corretto, se l’azienda non stia facendo una truffa a tutte le persone che non sanno che in quel punto le cose sono cambiate. Ho già pagato e posseggo la ricevuta che conserverò visto che non mi fido. Avrei preferito pagare il doppio per il mio sbaglio (o vostro sbaglio) è difficile dire di chi sia l’errore, noi del continente come facciamo a sapere che bisogna pagare un pedaggio se non ci sono segnalazioni luminose o cartelli chiari. Siccome sono una persona onesta, ho preferito pagare, con quei soldi sarei salito volentieri sulla london eye con tutta la famiglia e mia figlia e ho rinunciato perchè londra per un’italiano è cara, mi scoccia veramente tanto avervi regalato quei soldi per un tunnel, adesso lo so è la prossima volta piuttosto di passare per il tunnel spendo il doppio di carburante. Chiedo di rivalutare la mia sanzione e di poter abbassare la quota perchè se ci sono 300.000 autisti che non pagano ci sarà pure un motivo. Oh Yippee. First the Lendal Bridge in York, now the Dart crossing. My daughter has my car, drove down south to visit a friend on 3rd July, and on 5th July crossed the Dart, only for me to get a PCN issued 23/10 — almost 4 months later. At least I was allowed to just pay the £2.50 and avoid the fine, which I did right away. Only to get ANOTHER PCN issued on 25th November, for her other crossing on the 3rd July — almost 5 months later. Interestingly, the FIRST PCN was about the LATER crossing — and if you’ve read the letter you get with your “first offence” it states “you may have made additional crossings since the date of issue of the enclosed PCN for which we may not have received valid payments of the road user charge. We therefore also extend this offer of cancelling the penalty charges for these crossings, provided that all outstanding charges …” What a screw-up! Let’s just hope the Dart scheme is found to be illegal like the York Lendal Bridge was — but of course that just means the Council will have to pay a fortune to refund all the illegally-taken fines, which means the local council-tax payers will have to make up for this idiotic scheme. Who voted for the idiots who make these decisions? I crossed the crossing in December last year heading to Gatwick and was out if the country for 4 weeks. I have never used this road before (live in Devon) and as there are no toll booths and I hadn’t a clue what it entailed. 6 weeks later I received a PCN for £72.50 and a warning letter saying that as it was my first offence I could pay the £2.50 charge. I did this right away on-line and was emailed a receipt. Now, today, nearly 11 months later I have had a PCN for £107.50. I telephoned them straight away to say that there was a mistake as I had paid the £2.50 back in January. It seems I paid it wrong as I paid it as a one off payment and not a PCN. I thought this was correct as the PCN was for £70 and I was paying the toll charge of £2.50. I am extremely upset as I thought it was all sorted back in January, I cannot understand how they can fine me this amount 12 months after my crossing. I have wrote to them today along with my proof of payment, but fear they will reject this, as they are just after money. If this happens, have I got any hope if fighting it, as this has made me feel like a criminal, when I am a hard working business owner. The same just happen to me, I’m very upset too. I have just written to them and I was wondering if you have received some sort of reply from them? Have you payed the fine or are you waiting too see what they say? The same happened to me. Received a letter today(27 Nov 2015)but have proof of payment from Feb 2015. They are not getting a penny more from me………it might even be a scam. just had the same happen to me i am fuming. Crossed the bridge twice. I have just paid online the £5, and I have never been caught out on not paying before – do you think I will still receive a fine? If I do (which I hope I don’t) can I appeal it since I paid, albeit 8 days too late?.. I would also like a refund of the toll which I had to pay again when you contacted me on the 20/05/2015, which may I also add is a lot longer than the 14 days grace you are supposed to offer but in fact it is 75 days after I crossed and PAID. I telephoned on the 22/05/2015 and was told if I paid £2.50 it would be ok, perhaps that person should have done a proper check or perhaps they are not trained. Receipt FJ No 29616281 ref 150522132752022153F7N. On receipt of the PCN now requesting me pay £105 PLUS £2.50 for the Toll, If I pay this IT WILL BE THE THIRD TIME I HAVE PAID. So I look forward to receiving my £2.50 back from the 22/05/2015 payment plus compensation for all the inconvenience you have put me through, plus I won’t go to the press with this display of total incompetence by your dept, staff and the equipment used. But I will be in touch with my MP with regards this farcical situation which has been a total waste of public monies. HI I forgot to pay on the 21/12/2014 when the new system started I was later contacted by dart and offered the opportunity to pay which I did for both journeys/directions. I have today 14/11/2015 received a charge certificate for £105. They are saying that a penalty charge notice was issued on 09/02/2015 but I never received this. There are no contact details on the charge certificate. What do I do now? I went to Bluewater shopping centre, coming from Birmingham, last Friday 6/11/15 & completely forgot to pay the congestion charge until Monday 9/11/15….I subsequently paid the £5 for rtn journey. Will I be fined or should I get away with it seeing as I paid it 2 days later – This is my first journey too? Hi Catherine, As this is your first trip you will be a ‘first offender’ so you’ll be covered by the 14-day grace period. Keep proof of your payment – even if it was late – just in case they miss it and send out a penalty charge (which should still give the 14-day option in any case). In short, I would relax and enjoy the fruits of your shopping trip. Hope that helps. Why does this unjust enrichment – of the dart ford tunnel system toll charge – make normal good people, criminals? ” first offender” for goodness sake – the criminals are those extorting money out of people, such as government no less. Hi, I had exactly the same experience about 2 days ago.. I did not know I only had 1 day to make the payment and ended up forgetting about it. I also paid the standard charge but now I don’t know if the First Offence grace period includes a round trip made on the same day or just 1 crossing. If you forget to pay for round trip crossings made on the same day should it count as first offence all together? My wife made a return trip with our boys 8 days ago and when I asked her if she had subsequently paid she said “Oh ****, no, I forgot! !” and that having been used to pay as you go for years just using the tunnel a few times a year, remembering to pay after the event is something that is easy to forget. She paid the £5 charge today but hopes we don’t get a penalty charge as she never intended to do anything other than pay, however, as she said, it’s something that goes out of your mind hours after you have used the tunnel. If there was a way of auto generating a reminder that would be a great help. My immediate concern is I too forgot a few months ago, but paid within a few days and subsequently found out first time ‘offenders’ have 14 days grace. Will they nail us for failing again to pay within 24 hours? If it was in the same car you might get the fine… however, as she paid, the system might get ‘confused’ and not issue a charge. Have you seen the section on this article covering a firm called Dartsave? You sign up and it automatically pays the toll then sends you an invoice. If you fail to pay them, they add a little on but nowhere near as much as the Crossing. Worth a look. I used crossing forward and back on 21st of September but was able to pay only the next day morning. And now I’m getting penalty straight away? Although it says I can pay the following day until 12am. My wife and I received a fine this week for a return journey, so £70 if paid within 14 days. The thing that annoys me is that we did set up a Dart Charge account online and one that would top up automatically when it got below £10. But somehow after months of no problems the auto top up has been deactivated and we’ve received the fine(s). So not very impressed. I’m also very annoyed with, given all the revenue that this system is making the proprietors of the bridge, why can’t an automated email be sent to vehicle owners that are registered with Dart Charge? They have all our details, and can send out a fine snappy enough. So why not an automated invoice via email, which will cost them pennies to set up. Oh yes, but will deprive them of millions in lost fine revenue. I think you have answered your own question there. Sorry to hear about the problems. Hi – Sanef who operate the system should cancel these fines, but if not, the adjudicator should do so. An incorrect fine is certainly among the grounds for appeal. See our section on appeals above. I used the Dartford crossing on 09/08/15 at 1858 totally unaware there was a charge for doing so. I live in Scotland and very rarely drive to London. I was issued the charge and a £35 fine but it gave me 14 days grace to pay the charge where I wouldn’t have to pay the fine. The problem was I never saw the notification Until 16 days later as I was abroad on holiday. I called them up and they said to write to them explaining my circumstances which I did. I then heard nothing from them until now when I received a final notice of rejection stating I should have known about the charges and my fine has increased to £70. It says I can appeal this decision to an independent tribunal but I fear the worst and it was lapse into another larger fine. I feel like some sort of criminal now. Does anyone have any similar experience of this ? I have only just remembered that I didn’t pay for a double crossing 19 days ago. I haven’t received anything through the post about a fine or request to pay the charge. Would a payzone accept my payment now or should I just wait and see? The phone number provided is out of service. Just received a penalty notice for a crossing I made on 08.06.15 even though I had paid £5 for this crossing & one on 05.06.15 This was paid prior to the journey on 25.05.15. I spoke to someone at the accounts department who did confirm that I’d paid but I would still have to go through the standard appeals process What a complete waste of time Luckily I had kept the receipt & it was also confirmed in my bank statement. They will not deal with you either by email or phone – snail mail is the only communication In this day & age I despair!!!! Find a quiet corner and scream very loudly – we feel for you! Sorry you fell victim to this charge. This is why we try to play our small part in making it more widely known. The signs, as you say, aren’t a lot of help for occasional users – or visitors from overseas. Hope the trip was good otherwise. And yet they penalise us if we are unable to be on line. Yet another part of UK democracy where they will take your money as quickly as they can and with penalty clauses but, give it back? No chance of that unless one is very, very patient. Please send us your verdict here. It really is a poor situation, but you will have to go through the whole process just to prove you didn’t do anything wrong. You are not alone and as a whole batch of fines are going out at the moment, you won’t be alone. It’s very good of you Pete to put up this blog site, so that people can at least share their experience. What an absolute racket! People cannot travel without the stress of thinking, will I get a congestion charge, a toll charge, parking ticket, overtime parking ticket etc. It is often without any intention cause any inconvenience to anyone. What I cannot understand is why people are not standing up for themselves, when there are many points of incompetence and indeed it is an unjust enrichment, for what service are they truly providing? Ease of travel should be a right. What an absolute scam, where does the money go from the fines? Bill of rights act 1689, protects people from having to pay until convicted – there is no due process. Where is the harm, loss and damage? The government, establishment, call it what you will is constantly taking money out of the public purse by way of taxes, fines, etc and into the private coffers. Civil servants, such as mp’s get expenses for everything to do with travel and yet they serve the public? Isn’t that 180 degrees to what should be happening, why are people being criminalised for nothing in this system of corporate racketeering. The people using taxes for military use, to go to war and kill innocent civilians, men, women and children – they are the criminals. And by us consenting, contracting and complying we are then complicit by paying money by way of taxes for them to use, thus becoming an accessory to the crime. So where does the money go from collecting these extortionate fines? I drove on the crossing on the 24.5.15 I didn’t pay the toll and I received a PCN on 22.9.15 as it was my first offence I paid the £2.50. I then thought that was done and I have learnt from not paying. However this morning I received another letter for the return journey on the 24.5.15 now demanding £35. Why didn’t the website tell me to pay both fines together and how come it’s taken a further 3 weeks for an offence on the same day. It seems ridiculous you can be fining people nearly 5 months after the offence. Surely there must be a limit as there would be for a speeding fine by the police. Write on the PCN “NO CONTRACT” and send it back, as soon as you pay – you have agreed to contract. And most importantly, don’t worry be happy. Stress is a major downer on your immune system, take care of yourself. Alternatively, you could A4V the PCN, meaning, that you could get them to accept for value, the fine. They could access your bond from your birth certificate and collect on the funds therein, that have accumulated since your informants (parents) registered you when you were birthed onto the land as an asset for a lifetime of tax revenue. Your stock number is shown on the top left of the birth certificate, common stock or preferred asset, either way you will have something they can draw from. I crossed at 5.59 and 50 seconds am the other day….how do I find out if I have to pay, sure I was before 6, but worried they will charge me! This is a ridiculous situation where drivers should be able to attempt to pay but have it refused if not liable. I believe the Dartford system is like the London Congestion Charge system, where you can pay even if you weren’t sure you entered the zone. You should call and ask. Let us know how you get on. 1. it would be helpful to know exactly where the number plate recognition positions are, as if you are crossing very close to the 6am / 10pm cut-offs you may or may not have to pay – and the website doesn’t tell you whether any money is due. 2. the nearest PayZone point to us is 4.9 miles away from me in a direction we never take – so if we didn’t want or have the ability to pay on line it would be nearly a ten mile round trip – that’s good for the ozone layer isn’t it! 3. we don’t want to set up a pre-payment and leave our money mouldering in the governments coffers because it is only marginally shorter for us to go the Dartford Crossing way than to the north, so we decide each time which way to go round the M25 based on traffic. I believe it’s wisely to pay £20 per year for unlimited crossings, rather than spending gallons of fuel going some other routs. . The petrol is more expensive..
Help help help……..just received a letter from Dartford this morning with a pcn of 70 or 35 within 14 days… but the incident happened in july my friend was driving and his english is not very good and didn’t realise he had to pay passing charge. I have two pieces of paper are un envelope one with pcn dated 24/09/15 with charges but other explains pcn charges but says you can just pay 2.50 within 14days from issue date and all pcn charges will be cancelled. Very confused only just received letter nearly 8 weeks after so how can the pcn cancellation work now or will it still apply. Tried calling t have them line temporarily out of service. I’ve got exactly same problem on 2.10.2015 received letter with two pieces of paper and envelope one with pcn dated 14/09/15 with charges but other explains pcn charges but says you can just pay 2.50 within 14days from issue date and all pcn charges will be cancelled. Anybody know where is the logic in sending paper saying about possibility of avoiding paying pcn if you will pay within 14 days if you received letter already after 14 days you should pay road users charges ? I didn’t even know about those charges as it was my first trip around London. Can somebody help ? Phone them on their number 0300 3000120 and pay the original fee. The rest will be dropped. My son phoned after he got a letter after using the crossing in March only got the PCN 3 weeks ago so he phoned and paid he now has a letter demanding £105 for non-payment, he phoned again and was told they can do nothing about it and he will have to appeal. He lives up in the north and doesn’t have an internet connection, just like 30% of the population in the north. There is no logic only the fact that they will fool some people into paying the fine like my wife almost did before I checked the letter. Just another trick to try and get your money. I have just received a penalty notice dated 24/09/2015 for a non payment of a crossing on the 14/05/15. Is there a time limit within which the Dart Charge penalty notice has to be issued? I made a return crossing (first ever crossing) on 7/9/15 and completely forgot to pay by midnight the following day. I made my payment on the morning of 9/9/15 as soon as I realised but I am worried as I haven’t had a PCN. I understand there is the possibility of a 14 day grace period if this is the first offence, however. Just to check, the DVLA gives the details of my address for the PCN letter? I know they have the correct address for me as I have just received my road tax reminder through the post. There is a good chance the PCN won’t be sent as you have paid. Hi Bess did you get penalty after that.I forgot to pay as well for the dart crossing.Will be good if i don’t receive penalty. I just got a letter this morning for my journey dated 05/09/2015, but only for one way. they hadnt sent the penalty letter for the return journey or the other journey i made in July. I paid 2.50 for the 05/09/15 then called customer services to ensure that i do not have anything further to pay. The chap then advised i had another 7.50 to pay which now clears everything up. Its worth calling up customer services giving them your number plate and seeing what charges are outstanding. If you are not aware that there is a contact being offered then how can you have agreed to the contract to cross for payment? Just RTS their scare mail and tell them you have no contract with them. £105 to go through the Dartford tunnel!!! Yes I am one of the 300,000 drivers in one month to get stung by our lovely Department Of Transport. That’s right, THREE HUNDRED THOUSAND VEHICLES IN ONE MONTH! In April whilst in the UK, there were horrendous delays going through the tunnel due to road works and “improvements” I drove through the tunnel, but was not stopped at any barriers. I wrongly assumed, because I saw no signs, that because of delays and works, that people were just being let through. 2 months later, a letter in French and posted in Sweden arrived at our Swiss address. My wife sent the letter to me in Spain where I was holidaying and I paid the £35 that day. I went onto the DOT website and I see that you now have to pay £2.50 for each crossing in advance, or within 24 hours of crossing, by phone or using their website. So, all of those people who worked in the booths are no longer needed, but the price has gone up by 150%! A month and a half later now and I’ve got a further penalty of £70 because the previous £35 was not received on time. Have I any chance of appealing against this unreasonable charge? Hello – I would certainly appeal on the grounds you could not have resonably been expected to pay on time. Additionally, the majority of appeals are successful. I would also suggest that as the £35 has already been paid, that you have good grounds for not paying anymore. Thank you Pete, How do I go about appealing. I have to pay the further £70 or 114.28 Swiss Francs by the 3rd of October, so I have a little time. Hi – Follow this link for information and a direct link to an official page where you can start the appeal process. Hope it helps. Many thanks for your help Pete, I’ll give it a try. Hi – Not sure if my last reply worked, but go here for info and a link to the appeal page. On the appeal page them ‘start appeal’ link is very small and hidden at the bottom of the page… hmm! Hi Pete, In order to appeal to the independent adjudicator, firstly you have to write a letter to Dart Charge in Leeds, using the postal system (in this day and age!) If they reject your protest then you can use the adjudicator, but not before going through this antiquated process. They make it difficult so that most of us just give up and pay the money. NOT a happy bunny! Yes – it’s not made to be easy. The long and short of this is, however, that the system signage is not fit for purpose. Hi, I forgot to pay the crossing charge on Sunday and paid this morning, I’m worried about getting a letter through the post with a charge, do you think I will get away with it? This is the first time that I have forgotten but I’m worried I may of paid too late and a letter may already be on its way to me. Thanks. Hi Jo – According to the rules, you should be fine as the 14-day grace period should cover you – providing it was in your own car as hire cars seem to be throwing up a few issues witht the 14-day rule. This system is completely insane. As a non-UK resident my last journey over the Dartford Crossing was about 15 years ago when a toll system was in operation. In France motorway tolls are collected by automated credit card readers, why an earth does the UK have to be different? When I reached my destination my hosts were unaware of a crossing charge. I do not have a smart phone and internet access at my destination was difficult. I tried to enter my car registration number on the ghastly and confusing UK gov website and it was refused. I think this scheme needs a rethink. Why is there no information at service areas near the Dartford Crossing? I stopped at Maidstone Services and Toddington, both within an hour’s drive of the crossing. Why is not possible to provide an information panel and a direct payment point? As it is I am now apparently liable for a fine of 2 x 105 pounds. I think this is grossly unfair. Hi, please can you tell me where the signs were located in July of last year? There were a number of road work signs and some divertions but no blue signs. Well why can’t we have 14days to pay . By removing the direct pay isn’t it a way of making more money by charging driver peneltey charges because they know people will forget specially if you are a visitor . i think it’s not fair for something we have already paid for . just to make it fair i think best thing to do is send the people letter to pay £2.50 and then if they don’t pay within 14days they can be charge £35 . Also people should be able to pay by post after the crossing made. Is this some kind of crazy joke? I live 90% of the time in Germany. The one time I travel over the crossing in May I see no signs about paying a toll and now my friend whose address I use for my UK car emails me to say I have a fine! This is a complete con and I won’t be paying a penny.What a stupid way to collect a toll and waste of time. I agree Dave, I live in Switzerland and was caught out like yourself and I am currently finding out how and if, I can appeal. See my post above. However, a warning to you. I watch English TV and I have seen programmes where these debts are put into the hands of bailiffs who have Automatic Number Plate Recognition Cameras, they are everywhere and if your car passes one it will be flagged up immediately, then you get followed and stopped and if you do not pay the fine, which will get massive in time, they will confiscate your vehicle. If you do not cooperate they then call out the police who assist them to rob you. Do need pay for bank holyday days? Yes – and please be aware that the phone lines will be open for shorter hours over the Christmas period, so you could ring up to find them closed and get a fine. The Xmas opening times will be published above. I drove over the crossing on April 6th this year. Only today 5 months later do I get a PCN for non payment. Hi Paul, not sure if you received a reply to your question on the Dartford Crossing, but over the weekend i received notice of a fine for a crossing made in December last year, if you did find out if there was a time limit would you please let me know. the payment for Dartford Crossing for people from the continent: where is a declaration? If I am on holidays in the UK I have no tablet, notebook or computer with me only an old mobile. One place for strangers to pay would be helpful. At home I read a lot and many things about the payment and I needed a lot of time (no good English) I will tray to pay tomorrow and for the next time: can I pay in shops all over the UK with the sign payzone? Yes – use Payzone shops. It’s the best option in your situation. I am French. I rented a car in april at Luton airport for few days of tourism in south of England. I was aware of London congestion zone but not Dartford crossing. When I crossed the bridge there was a lot of cars around me and I was completely focused on finding the good way reading all the signs. I didn’t noticed that I have to pay for crossing. 4 months later (!!!) I received an email from Hertz to tell me that they took money on my credit card to pay a “parking fine”. I was very surprised. I checked where I was on that day & time : It was the Thames bridge at Dartford. So I went on the web and I realized that there is a toll for this bridge but without any staff or machine on the bridge where drivers can pay. Like Manfred, I have no tablet, notebook or computer with me on my hoilday, only an smartphone without access to data in UK; and paying buy phone is not very easy for a person who don’t live in UK. But the biggest problem is that I didn’t see that I had to pay for this crossing !!! Why you do not put some staff or machine to collect money for people like me (even if it is more expensive than paying by internet or phone). I hope you will improve this system soon : The problem is not the payment, it is the way you collect it. Hello – Yes, this is true and we agree. Hertz should have used the 14-day grace period to pay the £2.50 charge. How much did they charge you on the credit card? What is a Payzone shop and where to find it? Hello – You can pay for the Dartford Crossing at certain shops. Use the information in this article to find your closest. Yes – the chances are you will be… as long as it was the first time you’ve forgotten to pay while driving that particular vehicle. Keep a copy of any payment advice you receive. This should be covered under the 14-day grace period for first offences. I just received the Dart Charge PCN forwarded from the car rental company(with administration fee). In the PCN, it simply asks to pay £35 (within 14 days) plus £2.50 Road user charge. So how can I get the 14-day grace period and pay £2.50 only please? I live in the North and only use the crossing once a year to go to the Channel tunnel for a holiday. Last year it was toll booths only going through the tunnel and no payment going over the bridge. I have just got back from holiday today and have paid the two way toll charge of £5. However, I did not pay in the 14 day period for the bridge crossing as I have been on holiday for 3 and a half weeks. I only knew about the payment of the crossing on the way back when I realised there were no toll booths and their were signs explaining I had to pay online before midnight. Do you think now I have paid that I should not expect a fine? Hi -The 14-day period is from when the penalty charge is sent out – so you should be fine. Just watch out – as many people have found the system can’t match payments to cars. Be sure to keep a record of the payment – bank statement, or ref number, just to be on the safe side. I crossed the bridge (for the first time ever being in this region) on April 6th driving down to the south of Italy for work. As my work was extended I didn’t fly back to Manchester where my is registered and I found a full 105 plus toll had been issued in July. Firstly I didn’t see the sign, which of course I now know I should have read whilst driving on these unfamiliar roads. Secondly I didn’t arrive at my destination until past midnight the following day and thirdly I didn’t receive my PCN until two months after returning to the uk. Being completely unaware of any of the previous tolls or the current tolls am I stuck with a PCN for the full amount, I feel this is worth an appeal, what do you think? Was it the first ‘offence’? As you should have received a 14-day period to pay the original toll from when the letter arrived. It might be worth the £2.50 gamble on paying… or phone them and explain the situation. Not sure ‘explaining’ will help much, though, if you look at others who’ve tried to point out the blindingly obvious. Let us know. I just received two letter from Dart asking for the £70 fine for crossing the bridge in June on two days (one journey out, one journey back). So 5 months late for an offence I had no idea i had committed. There were no visible signs and no toll booths so how could anyone possibly know that there was a toll to pay? Apart from that, I believe from these notes that there should be 14 day grace period to pay the original fee but therte is no mention of this option on either demand. Just a footnote to this that may be helpful. I phoned Dart Charge and was told that actually there was a third penalty to be issued for another day. I was told that if I paid them the outstanding fees the matter would be cleared. I paid the £7.50 over the phone and they emailed a receipt. Hopefully that is the end of that. A real mess that needs sorting out though. 1) I stopped at the motorway service station near to the crossing, and I was amazed that there was no facility to pay for crossing – Why no Pay zone on the M25,close to the crossing ?…. 2) Went to the local shop which had a Dart pay zone machine as per the website – Not working …. They told me this is often the case …. who checks this system is working ? 3) I have been abroad for the last 12 years and just returned to London – I am sure the crossing was free on Sunday before, why has this changed ? plus let us remember the toll/ charged was to repay to original builders as ” “financed 100% by debt, with no equity contribution”. i.e. no govt money – the crossing generates a massive £75m plus per annum. Is there a process to sue the Dartford Crossing for the cost of having to challenge their mistakes in sending wrongful PCNs? I don’t use the crossing, I live and work on the south coast. I am getting Penalty notices against my car which has a registration ending U when the pictured vehicle clearly ends in L. Each time I get a notice I have to spend my time and money calling to challenge it. They check the picture and accept the mistake immediately, blame the computer recognition system and say they will take steps to avoid repetition and then a few weeks later another PCN, and another set of costs for me to challenge them. On my latest challenge today they have again said they have now flagged any photo read by the computer as my registration to require human confirmation so it can be changed to the correct registration ending L.
I have no issue with the people at the call centre, they are all very professional and polite but the computer recognition system clearly doesn’t work and their manual actions so far do not resolve those problems either. If they continue to issue incorrect PCNs do I have any process of redress against them? I think I have been reasonable but at £2-3 per phone call the costs to me continue to build up, not to mention the distress I feel each time a new PCN arrives through my letter box. Hi – I would certainly speak to SANEF – the operator – about some form of compensation. The amount of time and distress is good grounds, I would imagine. Not sure how you would stand legally, but any case would certainly be helped by the fact you had given SANEF the chance to compensate you for equipment that is seemingly not fit for purpose. You have no alternative to spending time having these charges cancelled, otherwise you could end up with a CCJ that would be hard to clear even though you are not at fault. The sanef Operations customer service number is 0300 300 0120. I have received a PCN last week and I am looking to pay just the crossing as it is the first time this happened but I cannot see any option to do that on the PCN I received. How should I proceed ? I driven through Dartford crossing on Saturday & driven back again on Sunday but felts so ill when I got back home so I went to bed as soon as I got in. I have just realised today that I forgot to pay for the crossing of £5 yesterday. I have cross the bridge couple of times before but paid them in time so this is my first time that I forgot to pay. I have now made a payment of £5 do you think that I will get a penalty charge?. Hi – If it is your first time you should certainly be fine. Hope you’re feeling better now. I went to London last 11th and I returned on 12th, I´ve forgotten to pay both. Can I pay now the two crossings online or I have to wait for receiving the fine? This is the first time I forgot to pay. But I have always paid for a one-off crossing online. I would appreciate your help. Pay now and it should stop the penalty being sent out. Make sure you keep a record of making the payment. I have driven through Dartford crossing yesterday, but I forgot to pay. I would like to pay today. I already did the same 6 months ago, but because that was the first time I was given the 14 days to pay the original price, without penalty. What do you think, how flexible are they if I still pay today (1 day delay) will i still be issued a penalty charge? Thank you for your thoughts. Hi – Well I doubt you’ll get the 14-day grace period again, but paying asap might be enough to confuse what sounds like a creaking and groaning penalty system! Certainly worth a go. Does anyone know whether the 14 day first offence payment extension is still active since I missed payment for a return trip earlier in the week and only remembered 3 days later? Also, does anyone know whether the ‘first offence’ referred to includes both non-payment penalties of a return trip (taken during one single day) or whether it includes the very first crossing only? Hi – It is still active and should include the second one – according to the slightly unclear wording on the official rules.Pay both now and you ‘should’ be fine…. rather than fined. We was on 3 week holiday and have seen info about fees on our way back. Did not pay on our 1st crossing. The lower penalty is calculated 14 days from day crossing or from day getting somme official letter about fine? How to pay penalty without any letter to do? Pay now – the standard crossing fee – and you should be fine. Hope you enjoyed your time here. Came back from Cornwall this saturday, had a nightmare 10 hour journey…. Forgot to pay and called them four days later and they tried to charge me £37.50…..!!!!!!!!!!!!!!!!!!!!!!!!!!! Couldn’t believe it… Thank you for this page guys…. and do your self a favour… credit your account with a tenner! Thanks for the message and we’re glad it helped. Really worrying that they tried to charge you this amount. I crossed over on at 3pm on Sat 25 July and returned the same evening, not sure if this was after 10pm or not. I totally forgot to pay the charge until I heard an advert on the radio the following Tuesday 28 July. I paid £5.00 online immediately using my phone. This was the first time I have used the bridge with the new payment system. After speaking to a friend they said that I would probably get a PCN in the post as I should have paid it before midnight on the Sunday and that I have probably lost the £5 I paid too. I didn’t open an account just made a one-off payment. I did receive a confirmation email but I couldn’t open the attached PDF. The email then disappeared from my inbox! I haven’t received a PCN and am worried that I will now have missed the 14 day deadline (albeit without receiving a PCN) and will be charged £70, possibly for each journey. Should I contact them? Was this the first time you have forgotten to pay? If so, you should be fine for both trips. The 14-day grace period doesn’t start until yo uget the PCN. I telephoned your office this evening to try and establish when I can expect to receive a PCN in relation to a crossing I made on 28 July. I have not received a PCN and the only reason I am expecting to receive one is because of your office’s response sent Fri 07/08/2015 10:41, to my message submitted online the same day. Your “customer service representative” told me that the PCN system is automated and that I should therefore have received it already. I confirm that I have not. I am not prepared to consider paying the Penalty until I have received the notice in writing. Please send it straight away. Also please consider that the 14 day deadline for should commence on the date of the re-issue, if indeed it has already been issued. Please treat this letter as both my grounds of appeal against any PCN you might issue, and as customer feedback for your operations director. 1. First time users of the crossing are given no advanced warning of fact that the toll crossing does not have any toll booth of any sort. 2. At the crossing itself, there is no sign bearing the actual URL for making an online payment; If other means of payment are available, I did not see any signs displaying the means of making payment by an alternative means. 3. There is no stopping place near any signs relating to payment, where a driver can safely stop and write down whatever information is given about means of payment. Any driver hoping to make a note is therefore forced to do so whilst driving, which must surely amount to the commission of a motoring offence (driving without due care and attention). 4. In my case, my first stop after Dartford was at the Port of Dover, where I had no phone signal (on the Three Mobile network). I was thus unable to search online. I then boarded a ferry which had such inadequate WiFi that I was unable to search online. Once I got to France, my phone would not work at all except on WiFi, and so I was unable to search online. The first hotel did not provide WiFi and so I was unable to search online. The first time I did have access to WiFi was after the payment deadline. 5. It is a fact that, given the effort I made to try and pay the toll, the PCN is being issued because I did not have internet access, not because I was unwilling to make the effort to pay. If there is another way to pay, I am being fined for not knowing that, which is due to the fact that you do not provide means at the crossing for drivers to safely make a note of such means, if they exist. 7. In view of this, on Thu 06/08/2015 at 18:21, I paid £5 online, to cover the crossing made on 28 July and in advance of an anticipated crossing on 8 August. I received a receipt (attached). I subsequently attempted to use your website to determine whether you had used this money to take payment for the crossings, and discovered that is it not possible to do so. In order to manage my account online, the first step in creating an account is to make a payment on £10 (for four crossings). I was not prepared to make this payment as I have no need to make the crossing again. I was thus unable to log in and determine whether you had taken payment for the crossing on 28 July. 8. I also attempted to use the “Pay a penalty charge notice” facility on your website but it would not accept any information from me without a PCN number. I have not received a PCN and so I have no PCN number. I have therefore been unable to use the website to (a) confirm whether I have received a PCN (b) make any payment in connection with it. 9. During my phone call to your office today 15 August, your “customer service representative” confirmed that you have not taken payment for the crossing on 28 July. I asked what would happen to this money and he said that it would remain on account for 12 months and would be used to pay for any subsequent crossing I make. I can confirm that I have no intention of making such a crossing within 12 months and, if I do, I will pay for it when it happens. I find it unbelievable that I have paid for the crossing on 28 July, in respect of which you are issuing a fine for non-payment, but you are holding that money in respect of a crossing I have not made and have no plans to make, and there is no means of getting that money returned to me. I am not sure whether the correct term is “theft” or “extortion” or plain “bullying” but I feel like a little kid who’s had his dinner money taken by the school bully. This demonstrates a fundamental flaw in your accounting system. 10. Your system is so flawed that it requires first time users to experience a completely unreasonable amount of time, effort and stress to – let us remind ourselves – pay a bridge toll. It’s three weeks ago now and I’m still dealing with it, and I don’t expect it to go away any time soon. 11. I can understand the benefits of an account based system for regular users, but for occasional or first time users a toll booth would be for more practical, convenient and safe, as well as enabling your business to obtain the revenues it deserves. It would be possible for you to provide a dual system where regular users bypass the toll booth, but occasional users pull over and pay. It would also enable you to obtain payments from foreign drivers who I imagine simply do not pay anything at present. After travelling on French motorways where a payment system is in place that caters for regular and occasional users, I can confirm that for the latter, the system is vastly superior in every respect to the system you now operate. Been using Dart Tag for years, no problems. Whenever we had a temporary hired van as a fleet replacement, simply moved the Tag to the temporary vehicle. Changed to Dart Charge but was assured that we could still use the Tags for any hired vehicles we were using. Today received a PCN for £70 for a hired vehicle which had a Tag fitted. Trawled for ages thru the website but could find no info about the Tags. Eventually gave up and called the “Contact Centre”. Told that yes the Tags were valid but they were linked to a specific vehicle!!!!! What is the point of that???? If you have a specific vehicle, you register its number and you do not need a Tag. Now, I have to ensure that any of our “non fleet” vehicles using this crossing, has the charge paid. MORE WORK as a result of Beaurocratic Bunkum!!!!!!! No doubt I will miss a few and then get “stung” with PCN’s! Any truth in the rumour that PCN is Latin for: “More Cash for George”???????? Fair enough to expect Brits to pre-pay, but how is this to work for tourists????? Couldn’t they have left 1 booth open for all those drivers who don’t waste half their life figuring out how to pay ridiculous toll charges in their chosen holiday destination? I’ve realised today is 11 days since I forgotten to pay the crossing. This is the second time I’ve gone through it, but I paid on my first journey many months ago . Would I still get the 14 days grace as this isn’t the first time I’ve used it but is my first offence? Hi Gary, Yes, you should be okay as it is – as you say – the first ‘offence’ of forgetting to pay. Thanks for commenting. Like many here I haven’t used the Dartford crossing for some time, so when I used it a week last Sunday we had change ready and were constantly looking for signs displaying the various charges, but didn’t see any. I just assumed that as there were no booths that they’d finally seen sense and dropped the charge. Not only are there no charges displayed, but also no mention of the word Toll, just some random signs with a red circle and the letter C followed by ‘Dart charge’ but nothing to say what this is, or what the mysterious ‘Dart charge’ applies to – not even a website! Today I found out there was a charge, found the website and called them. They told me that there was a fine for the first crossing, but that I could pay for the return (a week ago) without incurring a fine. I haven’t received any kind of notice through the post yet regarding the fine and it has been 12 days – if I get a letter, does anyone know if I will still have to pay the fine, or will I then have 14 days to pay the toll as it’s a first ‘offence’? Hi Paul – It’s a pretty common problem for anyone who doesn’t use the Crossing on a regular basis and completely understandable. You should be okay though, with the 14-day grace period covering you for this first ‘offence’ – sorry hate using the word offence when it is clearly a genuine oversight caused by poor signage. Barring in mind I had the money ready to pay on the day of the journey . Poor signage , if any , I certainly didn’t notice any, and poor information about changes. To top it all : unfair and confusing penalty system. I did not cross bridge since last 4 years but I received fine for crossing in Jan 2015 that day I have part exchanged my car for the fined one so I’m owner since 16:00 and crossing was recorded at 13:20. I’ve replayed on the form giving details but this was rejected. Why I need to pay for some one else? I travelled home to Liverpool for the first time via Dartford Crossing on Monday (20.07.2015). Have just this minute paid (22.07.2015). I’ve seen something about a 14 day exemption for the first time being late to pay the charge, is that true? Husband will not be impressed with me getting a fine!! Hello – Yes, there is a 14-day grace period when you get the penalty notice when you can simply pay the single crossing fee. You should be fine. I tried to pay via the website this evening 20.07.2015. I entered all my details including credit card details and eventually a server error notice appeared on my screen, which I have saved into a word document. I do not know if I have paid or not but will go to my local payment point tomorrow and pay in cash as well, then claim my money back from my credit card if they take both the payments. This whole set up is a total farce and I feel sorry for any visiting tourists who get caught out by this. Welcome to England !! I just tried to pay and got the same, I tried about 10 times and it finally worked ! 9.00am – i tried on line twice with 2 different cards, then i called direct line to be told the system is down and they cannot take any payments, this is just stupid, i am worrying myself sick that i will be charged more, i need your help asap. this is not right for all of us, to be told by one of your employs, well im really sorry but our systems are down…. please help me, this is just not good enough… if i am charged anymore i will be taking this further, im not sure if i owe £2.50 or £ 5.00, this is unexceptionable..
Hi Caroline – Just to make it clear… we don’t run the crossing, this page is designed to help drivers get the information they need to avoid fines. Thanks. Need more signs as to cost of fee and how to pay. We travelled last month and first we knew about toll was a warning letter about a fine for not paying crossing charge. We had money in hand ready to pay at booth but saw no booths or barriers so assumed toll had been dropped. On all other toll roads you get signs telling you costs for each type of vehicle and how to pay we saw nothing. Looking at this site we are not alone, doesn’t the fact so many people are failing to pay tell the operator something? Must be easier and more cost efficient to erect some clear signs than send out payment demands! eradicate the charge completely as we have paid for it via taxes and crossings hundreds of time over. On 4th July 2015, because my failed arrangements to take me to Standstead Airport I drove my car (approx 2-30pm) I am still on holiday in Spain, I travel back late on Saturday 18th 2015 July. (1). Can I pay the toll charge when I get home (Sunday 19th July). (2). Do I get 14 days notice to pay the forgotten toll payment or is there a “LATE PAYMENT FINE” already charged against me. If this is the first time you have forgotten to pay, then you will get a chance to pay within 14 days of a notice being sent to you. Simply paying when you get back should be okay for a first offence. Hi. Your site is very helpful, so many thanks. My query is about the 14-day grace period for the ‘first offence’. Along with many others I was caught by surprise when I headed over the QE bridge on the way to Dover. I had a long trip to make to the East of Germany with no internet access, so was unable to pay online until after midnight on the day following the crossing so potentially I will be issued with a penalty notice. However I did pay for the crossing I had made (and for the return crossing I intend to make) within the so called grace period of 14 days which I only found out about on your site. Does this mean I will not receive a penalty notice? The thing is that I have tried to find reference to the14 day grace period and can find nothing except what you have quoted a Highways Agency spokesman as saying. So is this official HA policy? Apart from the quote from their nameless spokesman, has this been published by them anywhere? Hi – Thanks for your post. The 14-day grace period is also referenced on the Gov.uk website, so can certainly be taken as official – see quote taken from page below. Hope this helps. Payment should be made by midnight on the day after your crossing. If you don’t pay by midnight the day after the crossing you will face a penalty. However, we recognise that dart Charge is a big change for drivers, so we are doing everything we can to help people understand the changes and avoid penalties. That’s why the first penalty charge notice issued for any vehicle will offer the driver an extra 14 days to pay the charge. I think this is an absolute disgrace! My parents lived in Kent for many years and I have used the crossing many times. I emigrated to Switzerland and have used the crossing on average once a year for the last 35 years. 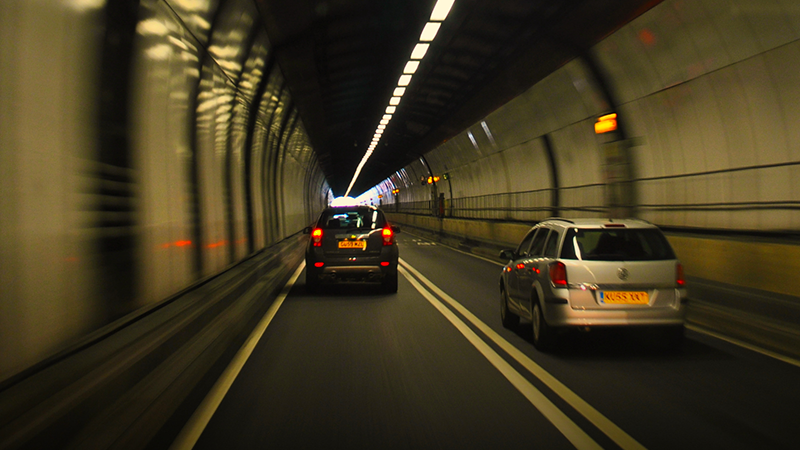 I was rather surprised traveling in a hired car from a funeral in Ipswich to Gatwick that there was no toll on the tunnel. I thought there may be a temporary reason. There was no information displayed as to how to pay on the road, How am I supposed to know as a visitor that I am supposed to pay a toll! I have just received a late payment bill for £38.50 which it seems the hire company has paid from my credit card on my behalf. This is just extortion. In the past a similar approach to doing business has resulted in heavy fines for some companies. But when the government itself acts like this ….!!!. Apparently this system does not work very well anyway. It seems the recognition SW cannot easily distinguish 1 and I on some number plates. Although my number plate seemed to have been correctly detected. Has anyone actually gone to court with this? If so what was the ruling? When paying on-line you have to confirm the terms and conditions. One of these is that you are the owner of the vehicle. I’m not (it’s my wife’s) so could not agree. No way round this. Had to telephone instead! I will contact those responsible and clarify this one. you also confirm that you are the owner of the vehicle(s) that you wish to pay for and/or have the permission of the vehicle owner(s) to pay for crossings and receive information about the vehicle and its crossings. Just been made aware that you have to pay to cross, sadly, the website doesn’t prove you have crossed and owe a fee. I could put in any number plate and pay, even if the vehicle has not crossed. It was over two weeks ago I made a fleeting visit and the signs are appalling. I used the crossing twice for the first time in 2 years yesterday evening, with my pound coins ready. Saw the signs saying I needed to pay by midnight TONIGHT… I went over at 5pm and I returned over the bridge at about 11pm so should be ok for my return journey, I think, as it was after 10pm? However, I suddenly remembered to pay tonight at 11.59… quickly found the website which I have never had to use before, started putting in my info. Messed up as I have either a zero or the letter O (even as I type this, I can’t remember which) and got it wrong – had to retype it… the next page just hung there… started again, got payment details in etc etc and paid… at 4 minutes past midnight, as stated on the receipt! Am I now going to receive a fine… I am gutted if this is the case… it wasn’t for the want of trying!! Went across the crossing at around 1pm on 28 June. After numerous attempts to input my details and pay the toll on your abysmal website on 29 June, I gave up and called it in by phone. Since I was calling from SPAIN, yes SPAIN, at whatever extortionate amount my provider was charging, the call was probably more than the crossing. When I told your call taker that I was unhappy about the internet capacity and that the site was ‘rubbish’ and I was now having to pay a fortune on calls, I was abruptly interrupted and told, “no it’s not. We are running at optimum capacity”. Let me put it in writing: Your website is rubbish and totally not mobile friendly, and your call centre staff are defensive and rude. BTW as for cutting crossing times, why did it take me 25 minutes on a Sunday afternoon? I pity those who have to make the journey on a weekday rush hour. Are you deliberately trying to deter motorists from using this crossing? I’m also waiting for my receipt of payment which still hasn’t arrived nearly 15 minutes after I paid it? Was the minion not happy about my complaint? Give me the hi viz collectors any day of the week. At least they were civil. Will also be taking a screen shot of this page to give an idea when I paid and when. Don’t trust HMG Agencies? Of course I do. What’s a PCN worth now? This system even by government standards is pathetic. The lack of transparency on fines and the timing of payment is designed to maximise revenue. Yes it’s known on the east side of London – wider publicity is not available and you need to actively search to find out how the system works. Another confusing element is the use of London’s Congestion Charge logo- the C in a red circle. Our car is congestion charge exempt but I see no evidence on the gov.uk website that it’s exempt from Dart Charge. I crossed the QE2 bridge on 15th June and have only just discovered today that the charges have to be paid within 24hrs of crossing I like so many others assumed the charges had been suspended while major works are carried out as the signage is not very clear. Do I expect to receive a hefty penalty or do I still have the chance to pay the normal tariff. I drove back from Ipswich on 10 June there was a major accident and I queued for 2.5 hours once the traffic got going I just continued on my journey. I have never been over the crossing before and until it was mentioned yesterday regarding the fee to cross I was completely unaware. On reading I can see if you don’t pay you get a notice, Is there anyway I can find out if I was fined and how long will it be before I get a notice? would they have put the fee on hold because of the major accident? I had just come back from a visit to Portsmouth, requiring 2 crossings in the same day, when I had a call from Addenbrooks that they had a kidney for me, and spent most of the rest of the day there having tests etc. Unfortunately, the transplant wasn’t to be, and I came back really tired with my head in a very strange place. I remembered to pay at 2 minutes past midnight – Aaagh! Will I get charged? Are these extenuating circumstances? We are sorry to hear about the disappointment of the operation not going ahead and hope you get good news soon. I would also hope that you will not get charged – both because of your day and the time being just two minutes late – which could easily be down to the payment system being slow. Please let us know. I have received Penalty charge notice and I paid them over the phone and received emails for confirmation. The person I spoke to said that I can pay at the same price return 5 pounds. Now I received another letter from Dart_crossing that they have not received any payment of my last four crossing. When asking the lady there which dates I am missing the could not tell. Data protection she said. My bank statement shows that I did pay. why cant they give us information when required. How do i deal with this situation? I used the crossing on 26th May and totally forgot to pay ( 1st time ever crossing it). I haven received my PCN yet and i just went on-line and paid £5 as it was a return journey. How much am i in trouble? can someone please if I should just wait or call them? Hi – you should be ok on at least one crossing (under the ‘first offence’ ruling’), but you may get a fine for the return. Just wait for the notice to arrive. Sadly, calling will not help achieve anything and will just use up your time. Visiting Britain from abroad once a year, and never having done any payments through Payzone yet, I simply wonder how does this work – do I just pop into any payzone store, tell them or type in my license plate, and pay the £2,50 cash, or do I still need any kind of account anyway? No – just use the Payzone finder and make your payment. Have a good visit. EVERYONE PLEASE BE INFORMED, IF YOU HAVE PANICKED ABOUT THESE FINES THERE IS NO NEED – IF YOU FORGOT TO PAY OR DIDNT KNOW ABOUT THE NEW CHARGES, ALL YOU HAVE TO STATE IN YOUR LETTER IS THAT YOU WISH TO PAY THE TOLL FEE AND NOT THE FINE AND IT WILL HAPPEN!!! Relieved to read your message! Could you help a little further and tell me where I write to? I came through the crossing; no idea about how/where or indeed if I have to pay. No 14 day reminder; just a letter with the fine, dated April, which I found today! I received two PCNs for a journey (one going out and one coming back). I just phoned them (0330 300 0120) and explained that I didn’t have a clue there was a toll in operation as there were no signs or toll booths. They told me that there was actually another fine outstanding for another journey that they hadn’t issued yet but if I paid them the original fees over the phone, the matter would be cleared up. Paid them £7.50 in total and asked for a receipt which they emailed. Hopefully matter is now closed. It is a crazy system and amounts to Highway Robbery but they do seem reasonable if you talk to them. I made a return crossing on Tuesday 2nd June, using a hire car, on a business trip for the company I work for. On Wednesday I logged onto the crossing website to make the £5 payment – but it was blocked as a “dangerous site” by the company firewall! Now I am back home, I have made the payment using my home internet access, but have missed the “less than 48hrs” deadline. Since it was in a hire car, I have no idea if anyone using this car has missed previous payments and thus whether any 14-day extension will be granted. Dartford Crossing’s current “guilty until proven innocent” policy appears to be an EU Human Rights test case waiting to happen. The paper work from the D of T was issued 15/06/2015. The hire car company should have payed the £2.50 and charge you £38 (a steep £36 service charge). So, I assume, I/you would only be liable for the lower penalty charge of £35. I followed instructions to access http://www.gov.uk/dart-charge to pay the penalty but it does not seem possible to do this. Looks like I will have to phone them. This system has been set up very badly; it seems set on making money from fines. The fourteen days’ allowance for first-time crossings is an improvement, but that should be standard for all crossings. Removal of toll-booths means that payment is now by means of credit, and most consumer credit is for 30 days. Fining after only 48 hours is grossly unfair, especially for those going abroad or from overseas. THIS MUST BE CHANGED. At no time has the fact that you can no longer pay the toll at the bridge ever been advertised in the North of England, being a “Southerner” that now lives in “tat North” its just another example of the “southern isolationist” attitude of institutions, I just want to cross the bridge not give my live story to some busy body, I dont use cards on line and you try to find a pay point that can complete the transaction, you could just have a text premium number that you could text your registration to, how about that! To be honest – we’re just as in the dark down here in the south. We’re all being hit by rubbish signage. Or you could call 0300 3000 120 and pay through an automated service or a real person, or you could go to http://www.payzone.co.uk/Store-Locator and select transport and ticketing then select dart charge then type in your postcode and city and it will give you a list of all the payzones that accept payment for the crossing within a 5 mile radius of your street. I live up north too and there are 10 in my area so no excuses. Work for DART do you, George? At least on the M6 toll road you are given the opportunity to see prices and if you don’t agree, an access road off. On the crossing there is nothing! No prices, no method of payment, no official guidance. I think I’ll make a FoI request to see if ‘George’ is the helpful Northern soul he purports to be. Pretty disapointed that i had opened an account and monies were taken without my permission. when i contacted Dartford call centre and explained they said i owed them money however I have receipts showing that Dartford owes me money, was ment to get a call back but still waiting one week later. bit of advise don’t open an account ! Hi. Is there anyway you can type in the reg number and it tells you if you missed a payment ect? I am on holiday. crossed last Friday. I can only pay you by Thursday when I am back home, in Belgium. Hi – Pay when you get back and you should be fine if it is the first time that you forgot to pay. I have just done a quick crossing to France … had my pennies ready to pay at the bridge, but no way to pay. When in France I had no internet access, no way to pay for the outward crossing. On returning home today, I have immediately paid for several crossings… but there is no way to contact them to let them know that I just couldn’t pay for the outward crossing travelling towards Dover as I had no internet access for the following three days and had no idea that the payment booths had disappeared. Very poor signage and lack of information for those who are crossing for the first time. I see it is run by Sanef, same as the French Toll roads, might it not be an idea to allow folk who have one to use the the Sanef sensor. … or at least set up a payment point at the eurotunnel and ferry stations. Hope I don’t get fined!Fingers crossed. I would go online and pay. You should at least be able to escape one of the fines as it was your first ‘offence’. Good luck. Just realised I missed paying the charge last Monday 27th. Should I be able to pay and avoid a fine. Yes – get online – or phone – and pay now. Providing it’s your first ‘offence’ in that particular car you should be fine – because of the 14-day grace period. I live in Stone which is just next to the Dartford crossing so everyday on my way home I take the last turning before the toll for Swanscombe, however today there was an exceptional amount of lorrys and trucks queuing back at my turning off, I was indicating but not one of them could let me in as it was not moving. With cars behind me I had no choice but to carry on driving and miss my turning. When I got to the barrier I explained to one of the men working there what had happened and expected that he would be able to help me turn around or lead me off I side road. However he said, ‘its tough, you have no choice but to go through the tunnel and back over the bridge to get home and you will be charged!’. I was extremely shocked about this, is there anything I can do to avoid paying or being charged as I did not want to use the bridge or tunnel and the time on the cameras can prove I went straight over and back without stopping? Please can you help? I doubt there is much you can do legally, but maybe a letter explaining the situation and pointing out the lack of ‘customer service’ from the employee might help. Local residents put up with enough and should not be put out further by the crossing. I used the crossing on 2nd and 14th dec and paid the £2.50 each time as requested. I am now being billed for £6 for the 2 crossings and have appealed. As the van was leased the hire firm are also charging me £30 for this. I can not understand how or why I should be liable for this mistake when I paid the amount requested online. The cost of a van is £3.00, so the system should ask for the correct amount. You should appeal this. Also, check the terms and conditions from the van hire company, the £30 charge seems excessive. If the T&Cs don’t make this clear, have a word with your local Trading Standards office. Find your local Trading Standards office here. (1) We are not 100% sure which vehicle we will be using, or we might even use the bike. (2) We will be out of the country for the next three weeks so won’t be making the return trip within the required 24 hours. (3) We don’t want an account as we might only use the crossing maybe 6 times a year. (4) If you have a Santander bank account it is a nightmare trying to use their credit card on line, I would use AMEX but gov.uk don’t accept them. (5) The handout sent through the post says you can pay by phone but doesn’t give a phone number so if your computer is down or you don’t use one you are stuffed. (6) where are the ‘payzone retail outlets’ in my area. (8) If there is a massive traffic hold up we would be advised to use the anti- clockwise direction so wouldn’t use the crossing anyway. We seem to be O.K. now as long as we have the 0300 phone number but unless we are going to Kent or Surrey we would now use the anti- clockwise direction of the M25 to save the hassle especially for Gatwick or Heathrow. I set up an account on the 14th April on line, and paid my £10 fee, and since then no money has appeared in my balance page and no confirmation email has been received. I Phoned, and adviser said he would refer it to a supervisor, but I could still travel. But I am still waiting for the balance to appear. , but my credit card has been debited. So the money has been taken. I did not trust this service, so in order to travel with my disabled husband with anxiety disorders, I then paid for a single journey, not using my account page just so I did not get a fine As yet no explanation or money on my account. When and if I decide to join Dartsave, will they charge me £1.67 per journey or £2.50 ? If the former it seems a very good idea, seems one would win all round. Glad I stumbled across this, I was very confused with the set up, and thought the sign was to do with congestion charges. First time ive ever been down that neck of the woods. I was away 1/2 weeks ago, should I pay now or await the letter, saying car not found on system? Hi – Glad we helped. I would pay now and there is a chance you’ll be okay. The system seems to be extremely clogged. I used the Dartford tolls on Saturday, however when I went online to pay the website wasn’t working or wouldn’t accept my card (I tried 3 different cards). After this I completely forgot about not paying, I have just remembered. What should I do? I have used the dart pay system many times before, and paid successfully. I would try now and wait and see. You should be given a 14-day reprieve on the first crossing at least. I, too, did not have any idea of the changes. Returning from two months abroad I saw no information signs and (stupidly) assumed that the barriers were open due to weight of traffic. I wonder how foreign non-english reading drivers cope? Well, I can guess; they will sail through the barriers, oblivious to the implications, as I did. Are foreign registered cars pursued for penalty charges? Details of the success of any such actions would be interesting to know. The penalty notice arrived. I had been charge as a commercial vehicle, the cameras not detecting that my van has a side window which changes the charging rate. I paid online in advance of a return crossing (2 journey’s) cost £5 via the gov website. I have now received 2 x pcn for these crossings !!!! I too have just received a penalty notice for a journey I had paid for, as I returned a few days later can I expect a second penalty notice? I am livid that you can not simply phone and give your receipt details but have to spend time an money searching for receipt and then paying postage!!!!! i paid the toll a day late as it was good friday and bank holiday in one weekend and i totally forgot i crossed on the monday not the tuesday and paid on the wednesday will i be fined for this? or does the 14 day extra or does this apply when u receive a fine? The 14-day rule should apply as long as it was the first time you haven’t paid in that actual car. I crossed the tunnel on 10th April, and only got a chance to pay online £2.50 now (11th April 2.45am). However, the website is not clear if it has taken payment with relation to last nights crossing. What can i do? There doesn’t seem to be any way of checking that the toll has been paid. I would like to be able to put my registration in, and confirm that there are no outstanding payments or fines. I had by accident misspelled the vehicle registration number (just realized when looking at the details of the payment receipt) and got a penalty notice in the post. How can I deal with it, any suggestion? Hello – you should contact the Highways Agency and ask how to appeal a ticket. You should have a good chance of success. Hi this has happened to me too. I grew up in Kent but in last 4 years I been in Manchester, u hired a car a few times to visit family back I Kent. I thought it was just a temporary changes and there was no charge for the time being, only to find out now I had to pay online. I don’t know what is going to actually happen now, are they going to chase me, will I be going on black list or something? I did call them to day trying to explain but they wanted the plate number when I don’t have. They said the can’t help otherwise. You should contact the hire firm and get the number plate. Then pay and you should avoid a big fine. If you leave it, the hire firm might just get the fine, sit on it then charge it to your card. You should certainly have a chat with the hire firm and find out their policy. Hi – you should get a notice giving you 14 days to pay at the standard tariff for your first ‘offence’ but if you returned without paying you could get the larger fine. However, it sounds like you just made one crossing so either pay now – at the usual rate – or wait until the charge notice turns up and gives you the 14-day grace period. I paid a couple of days later for a one way, as I forgot coming back off holiday, unpacking etc.. but before the first Warning Letter and Fine arrived both in the same envelope!. It seems that my payment doesn’t count towards the crossing and just sits in an account..and unbeknown to me I was expected to pay AGAIN when the first letter arrived and had 14 days grace. I didn’t as I checked payments made again and it clearly said £2.50 paid and have all email/receipt. The web page did not mention any outstanding crossings, so I took this as my payment was complete. I now have a charge certificate saying that I never made a representation in time? why would I go through that channel when it clearly states 14days grace for first timers and it was paid well within this. What it does not say is that paying before you get a letter just puts your cash in credit and is not used to pay for crossing. So it appears that you have to pay twice for the same crossing. I cant think how many 1st timers are caught out by this scam, leaving the dartcharge company thousands of pounds in credit when drivers do not intend to use the crossing again like myself. I would love to see how much interest that generates and how they get around the book-keeping for such an outrageous practice. I have had the same issue. I went to Dover and back in one day……long voluntary work day away on sat of first bank holiday. I had my money ready to pay as I’ve done before but no barriers. I got pipped by cars behind me who obviously weren’t paying either so I carried on. I put it down to road works being carried out at that time. This morning I received a fine and I’m devastated. Just googled to find this and the new pay system. I had no idea. If I had of course I’d have paid. This is really unfair. Because I did the journey in a day I’ve been collared for my return so no leeway to pay re first offence. I think this is v unfair and I will put in a complaint. So many people – like you – just didn’t know about the new system – and why should you. Additionally, the signage is extremely poor and seems almost designed to generate fines. In the first month alone, potential fines amounted to £21 million. These figures don’t appear to have been released since. I have just today received the warning notice……a day after my fine which I posted about yest…….Ridiculous! Sorry to hear that. The signs are appalling – as you can see from our drivers’-eye video. We will be contacting more the Agency and looking for assurances that signage will improve. Like previous posters, we too were caught out by the change, having the same experience of approaching the barriers coins in hand and then passing through without being stopped for payment. Only when the PCNs arrived (yes, two, though a month apart even though the southward/northward journeys were only 8 days apart) did we discover that ‘Dart Charge’ was a brand name for the toll to cross the Thames. Signs need improving, the C for congestion charge needs to be removed, the silly name needs to be replaced with the recognisable word ‘toll’ and the deadline for payment needs to be significantly longer. (We spent a week on holiday in France with no internet so we couldn’t have paid even if we were aware of the charge.) Maybe we in the north of England are destined to find out the hard way that this charge exists. I used the crossing once, got a penalty notice, paid by computer, got a receipt. but typed in car reg as a o not a 0, now have to pay £107. Just the Government again hitting the motorist for more cash. Have you appealed? I am sure you’ll win. No probs Dennis. Let me know if you have any problems. Hope it helped. You should certainly remain exempt if you were before. hi! this is my first time to pay dart charge and I did not know have to pay both way and I did pay only one way not pay on return. Contravention date 21/02/2015 and I make a payment on 23/02/2015. thought everything were fine but I did received penalty charge note on 19/05/2015 told me have to pay £35 and issue date 15/05/2015, this almost 3 months late, is it legal do I need to pay the charge. I did ring up customer services but that guy not very nice and not helpful. Would be great if you can explain and help me understanding thank you. What do I do if the car is a mobility car for disabled as we never payed toll before . Are some vehicles exempt from paying the charge: Yes. If you are currently exempt from paying the charge, that will still be the case. This includes vehicles exempt from paying road tax because they are used for disabled persons. Please contact the DVLA to confirm if your vehicle is exempt. Hi, I’ve just paid for my crossing twice for Sunday 19th April 2015, will I get penalised for this absent mindedness? You need to call them on 0300 3000 120 (charged at local rate) and someone there should be able to help. Just remember this is not a customer service line, and if you take your frustration with the website out on them, they will hang up on you. Go online click on one off trips etc. On Dart tag website it will tell you to prepay at 100s stores often the open all hours type. In Canterbury a couple for example were open 5am till midnight. Would be possible pay it now, or I have to pay the penalty? If it was your first offence, you will be given 14 days to pay the original toll and avoid the fine. This starts from when the notice arrives. If it was two crossings, it’s likely you’ll receive a fine for the second. According to the gov.uk website, disabled drivers/ vehicles are still exempt. Careful about disabled use. A BLUE badge .is NOT free. A MOBILITY ISSUED VEHICLE only is free and that is on the registration so is picked up as you go through. i.e Vehicle HAS to be a Tax exempt true adapted car for disabled use. We have one in our family the car is obtained from special suppliers and when we went through it automatically picked this fact up on the Registration.